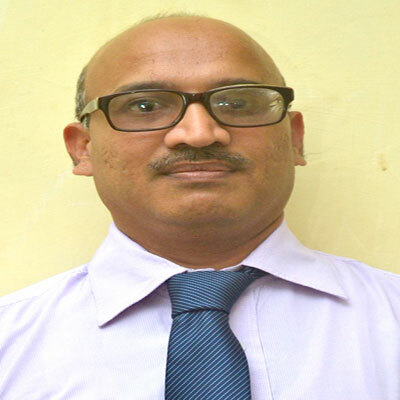 Dr. Manoj Ramesh Kumbhare is currently working as H.O.D. and Associate Professor at S.M.B.T. College of Pharmacy India. He obtained his Ph.D. in Pharmacy from Dr. Maruthur Gopalan Ramachandran Medical University, Chennai, Tamil Nadu, India. He is having more than 13 years teaching experience as Lecturer and Associate Professor. He is life member of Association of Pharmaceutical Teachers of India. He is also serving as reviewer for Pharmaceutical Biology, Int. J. of Plant Research, etc. He Guided 6 M. Pharm Students, and 26 T. Y B. Pharm University Projects. He has 9 publications in journals. He successfully completed 2 research projects as Principal Investigator and 2 projects as Co-investigator. He also attended 12 seminars, workshops and conferences. Kumbhare, M.R., A.R.Surana, R.A. Arote and G.D. Borse, 2019. Current status of leptospirosis: A zoonotic tropical disease. Int. J. Microbiol. Curr. Res., 1: 14-19. Kumbhare, M.R. and T. Sivakumar, 2019. Caesalpinia pulcherrima extracts on blood glucose in normal and alloxan monohydrate-induced diabetic rats. J. Biol. Sci., 19: 34-39. Surana, A.R., M.R. Kumbhare and R.D. Wagh, 2016. Estimation of total phenolic and total flavonoid content and assessment of in vitro antioxidant activity of extracts of hamelia patens jacq. stems. Res. J. Phytochem., 10: 67-74. Kumbhare, M.R. and T. Sivakumar, 2015. Phytochemical and pharmacological properties of Caesalpinia pulcherrima (Caesalpiniaceae): A review. Int. J. Nat. Prod. Mar. Biol., 1: 16-23. Dube, P.N., S.S. Bule, Y.Y. Ushir, M.R. Kumbhare and P.R. Dighe, 2015. Synthesis of novel 5-methyl pyrazol-3-one derivatives and their in-vitro cytotoxic evaluation. Med. Chem. Res., 24: 1070-1076. Morankar, P.G., A.S. Deshmukh, M.R. Kumbhare and S.S. Kale, 2014. Antioxidant activity of Couroupita guianesis AUBL. PhTechMed, Vol. 3.No. 2. .
Kumbhare, M.R., T. Sivakumar, T. Lakhote and P.G. Morankar, 2014. An evaluation of membrane stabilizing activity and antimicrobial activity of stem bark of Moringa oleifera (Moringaceae) against selected microbes. Am. J. Drug Discov. Dev., 4: 41-49. Harsha, I.N., J.N. Reshma, K. Manoj and K. Prabhjeet, 2014. Synthesis and in-vitro screening of novel dihydropyrimidine derivatives as potential calcium channel blockers. Der Pharma Chem., 6: 221-227. Dube, P.N., S.S. Bule, Y.V. Ushir, M.R. Kumbhare and P.R. Dighe, 2014. Synthesis of novel 5-methyl pyrazol-3-one derivatives and their in vitro cytotoxic evaluation. Med. Chem. Res., 23: 3593-3928. Dube, P.N., S.S. Bule, S.N. Mokale, M.R. Kumbhare and P.R. Dighe et al., 2014. Synthesis and biologic evaluation of substituted 5-methyl-2-phenyl-1H-pyrazol-3(2H)-one derivatives as selective COX-2 inhibitors: molecular docking study. Chem. Biol. Drug Design, 84: 409-419. Deshmukh, A.S., P.G. Morankar and M.R. Kumbhare, 2014. Review on analgesic activity and determination methods. Phram. Tech. Med., 3: 425-428. Morankar, P.G., B.S. Chakraborty, M.R. Kumbhare, C.D. Patel and N. Mathuria et al., 2013. Hypoglycemic activity of a polyherbal combination on streptozotocin induced diabetic rats. Int. J. Adv. Pharm. Res., 4: 1608-1613. Morankar, P.G., A.S. Dhake, M.R. Kumbhare, Y.V. Ushir, A.R. Surana and S.D. Patil, 2013. An evaluation of the antidiabetic effects of Couroupita guianesis aubl. flowers in experimental animals. Indo Am. J. Pharm. Res., 3: 3114-3122. Morankar, P.G., A.S. Dhake, M.R. Kumbhare and M.R. Kalantri, 2013. Pharmacological and phytochemical properties of couroupita guianesis: Review. Indo Am. J. Pharm. Res., 3: 3466-3471. Kumbhare, M.R., T. Sivakumar, P.G. Morankar and M. Kalantri, 2013. Membrane stabilizing potential and antimicrobial activity of the pods of Caesalpinia pulcherrima (Caesalpiniaceae) against selected microbes. Indo Am. J. Pharm. Res., 3: 4053-4061. Bule, S.S., M.R. Kumbhare and P.R. Dighe, 2013. Synthesis and biological evaluation of some novel 3- methyl Pyrazol-5-one derivatives as potential antimicrobial agents. Am. J. Pharm. Health Res., 1: 47-57. Bule, S.S., M.R. Kumbhare and P.R. Dighe, 2013. Synthesis and in-vitro biological evaluation of a novel series of 4-(Substituted)-5-Methyl-2-Phenyl-1, 2-Dihydro-3H-Pyrazol-3-one as antioxidant. J. Chem. Bio. Phy. Sci. Sec. B, 3: 1996-2005. Mahajan, V., M. Kumbhare and A. Dhake, 2012. A novel matrix formulation of Moringa oleifera in the management of inflammation. Internationale Pharmaceutica Sciencia, 2: 109-114. Kumbhare, M.R., T. Sivakumar, P.B. Udavant, A.S. Dhake and A.R. Surana, 2012. In vitro antioxidant activity, phytochemical screening, cytotoxicity and total phenolic content in extracts of Caesalpinia pulcherrima (Caesalpiniaceae) pods. Pak. J. Biol. Sci., 15: 325-332. Kumbhare, M., V. Mahajan, T. Sivakumar and M. Kalantri, 2012. Investigation of anthelmintic activity of pods of Caesalpinia pulcherrima. J. Pharm. Res. Opin., 2: 63-65. Kumbhare, M. and T. Sivakumar, 2011. Anti-inflammatory and antinociceptive activity of pods of Caesalpinia pulcherrima. J. Applied Pharm. Sci., 1: 180-184. Kumbhare, M. and T. Sivakumar, 2011. Anti-inflammatory and analgesic activity of stem bark of Moringa Oleifera. Pharmacologyonline, 3: 641-650.